Aluminum door canopies incorporating a double baked on finish for lasting good looks available in thirteen different colors as well as standard and low profile sized for mounting into limited spaces. The added convenience of a built-in rain gutter coupled onto a heavy duty extruded framework provides a door canopy that is built to last and keep its good looks. Comes shipped partially assembled and backed by a five year warranty. As shown in the photo these aluminum door canopies are a perfect match for the aluminum window awnings and can be combined and color coordinated to provide a beautiful and functional accent to your homes exterior. 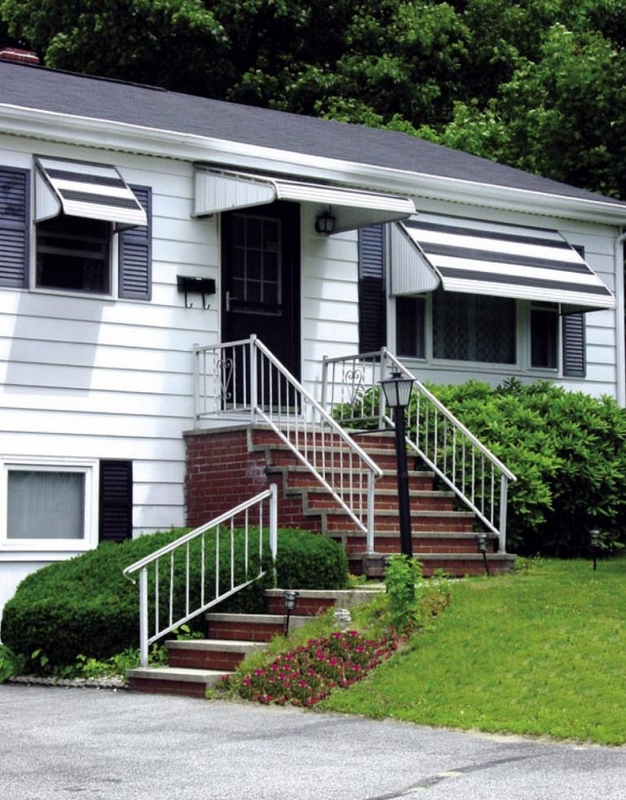 These heavy-duty and attractive outdoor aluminum awnings can be tailored to fit most any home as they can be made in varying widths starting from as small as 3 feet and extending to as wide as 15 feet.